There’s always something special about home. The familiarity of the surroundings and people is really what makes home…home. When you’re home, you have your favorite spots, friends who you usually hang out with, and places where you go when you need help, like a doctor’s office. Something that often goes unnoticed are the benefits that come with having a local plumber on hand. Mojica Plumbing & Drain Cleaning has been serving as a team of local plumbers for the Round Rock area, and we’re very happy about it. 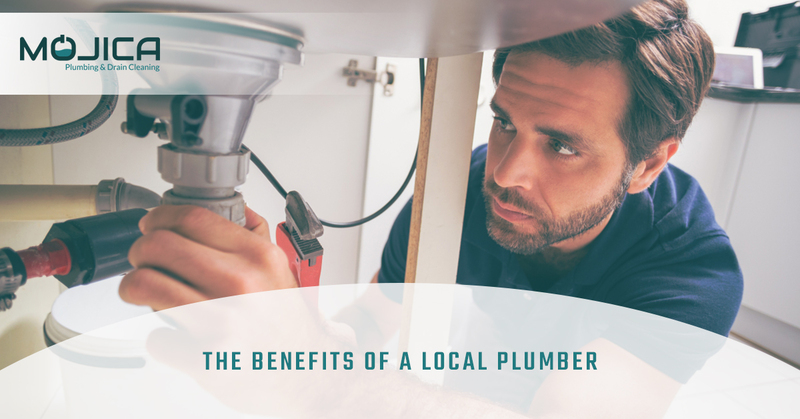 We’re very aware of the benefits that come alongside having a local plumber, and we want you to be, as well! A good portion of plumbers grew up in the area in which they service, making them one with the community before they even start installing and fixing pipes! It doesn’t hurt that they went into a career which immerses them in the neighborhoods even more! Local plumbers know the area, the people, and of course, the plumbing work! When hiring someone local, you’re basically hiring your neighbor! Sometimes, a singular construction company will put together all of the homes in a neighborhood or development. This means that the plumbing systems in these homes are going to resemble each other. The composition of pipes, brands, and locations of things like water heaters aren’t going to be too different across homes. As local plumbers, we begin to familiarize ourselves with the homes, making it easy to jump from one to the next and work on the plumbing with ease. Mojica Plumbing & Drain Cleaning works hard to maintain positive relationships with all of our clients! That being said, many of the homeowners who we work with will often call us again after having worked with us. This relationship is great on both ends. When we come back for plumbing installations or repairs, we’ll be familiar with your home from the previous job. That way, we won’t have to fumble around in an attempt to get to know your pipes and drains. Instead, we’ll be able to get in and get out. You, on the other hand, will have fully functioning plumbing in no time! Local businesses are what makes the United States so special, and we are one! By choosing a local plumber, like Mojica Plumbing, you’re supporting Round Rock, Austin, and the surrounding areas. We have a mutually beneficial relationship with all of our clients! We provide them with awesome plumbing work and they return the favor by supporting our local company. For that, we thank you! Mojica Plumbing & Drain Cleaning is so grateful to all of our clients for choosing us as your local plumber. We strive to be an important part of the community who gives back with superior plumbing work. If you’re in the Round Rock area, choose us! We’d be happy to be your local plumber. Give our office a call today to start!